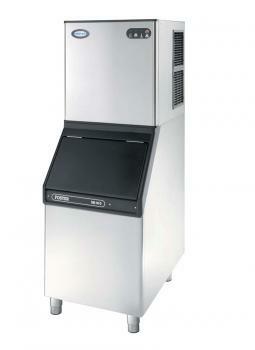 The F130 can produce 130kg of cubed ice every 24 hrs. It has a storage capacity of 100 kg. It offers complete temperature control and superb hygiene, which is vital because ice is given the same hygiene consideration as foodstuffs. Foster’s icecubers produce ultra cold square cubes that last longer in the glass, ice bucket and the machine’s storage bin, so less ice replenishment is required giving you an additional cost saving. The range also uses as little as 5 litres of water to produce 1 kilo of ice – important where water is metered.